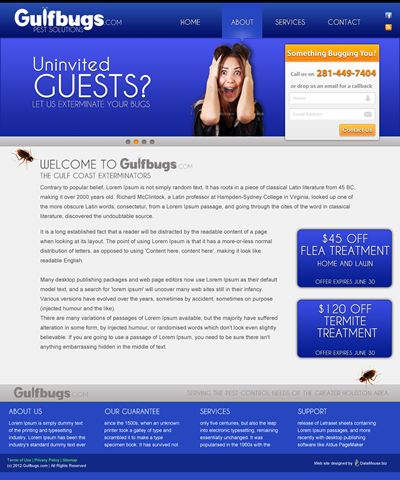 Gulfbugs needed a new website that would allow them to maintain their own content simply and easily. WordPress is the natural choice, and Gulfbugs can now chose not only what content appears, but the page layout too! The custom logo was inspired by the bugs and pests that the company handle everyday, but designed not to be too scary to customers. I received plenty of help on this project and the new design is a significant improvement over the previous web site design. Thanks.